When policymakers kick off debate on “pay-fors” for a long-term infrastructure plan, the vehicle-miles-traveled funding approach that seems to be gaining bipartisan support in Congress is expected to play a major role. 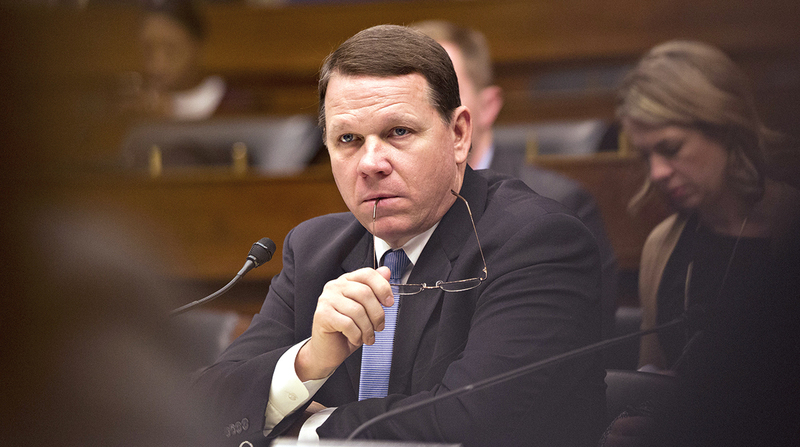 Missouri Rep. Sam Graves, the top Republican on the House Transportation and Infrastructure panel, recently reiterated his support for the adoption of a VMT plan as an alternative to pursuing fuel taxes to pay for the construction and maintenance of big-ticket projects. “I don’t want to do both. I don’t want to have a gas tax then layer on top of that a VMT. I want to eliminate the gas tax and then go with VMT,” Graves told Bloomberg Government last week. “We’re going to have to find something to, you know, make the Highway Trust Fund sustainable moving forward,” Graves added. A VMT fee would entail charging motorists for the amount of driving rather than relying on the fuel they purchase. Proponents argue the VMT approach would more closely reflect drivers’ use of fuel-efficient vehicles. Opponents raise concerns over privacy. The trust fund relies on diminishing revenue from the 24.4-cents-per-gallon diesel tax and 18.4-cents-per-gallon gas tax. Stakeholders, meanwhile, urge Congress and the White House to increase fuel taxes, which have stayed the same since 1993.